We all know by now that covering your child with sheets and blankets in bed poses as a SIDS risk. 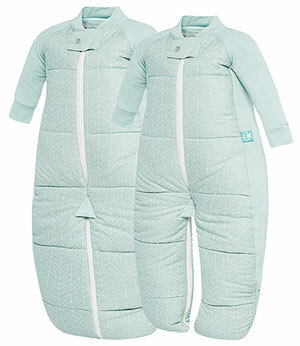 Due to this ‘sleep suits’ have become a great alternative as they do not pose any risk of suffocation and still keep your littlest love warm at night. There are many brands and styles of sleep suits on the market that differ in price and quality although in this review I will tell you why my son and I love our ‘ErgoPouch Sleep Suit Bag’. The Sleep Suit Bags are listed on the ErgoPouch website from $74.95 to $84.95 depending on the tog, although can be purchased from Amazon for as little as $56.00. 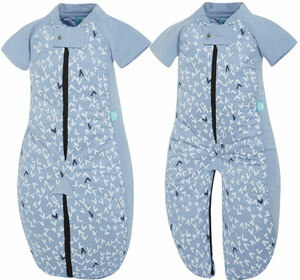 I recommend the ErgoPouch Sleep Suit to all other mothers who have not yet purchased their little one a sleep suit. It will give you added peace of mind that while you sleep, your little one is asleep warm, comfortable and safe from the risk of SIDS. ErgoPouch are continuously adding colors and designs to their already large collection of sleep suits although I purchased the 2.5 tog leopard design for my little man at the beginning of winter. It makes life easier when you can dress your baby in just a singlet, pyjamas and their sleep suit (2.5 tog) on most nights. When my son is nearing his bedtime, I simply put him into his ErgoPouch Sleep Suit in the single legged option which allows him to still crawl (as he is not yet walking) around. I love that this particular sleep suit allows him to still move and play because we all know how hard it is to ease a baby into their sleep suit without waking them. My son is ten months old so I purchased the 12 – 36 month size because he is a bigger baby and this allows him room to grow.. and saves me some extra money. I have heard other mothers saying that they find it takes awhile to dry although if hung out in the morning I have found that it is always dry by bedtime. 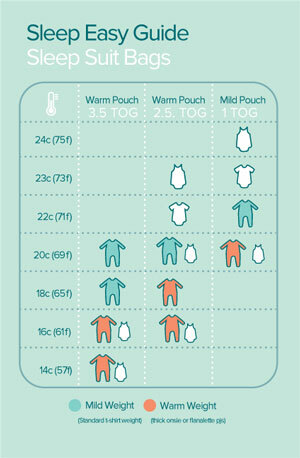 Furthermore there has also been negativity towards the cost of the ErgoPouch Sleep Suit. Honestly I believe that this product is reasonably priced for the quality and the fact that the sizing is bound to last any baby more than one winter. I love the option of hand mittens because previous to owning our ErgoPouch my sons hands would be freezing every single morning. I cannot wait to buy my son a 1.0 Tog ErgoPouch Sleep Suit for the upcoming Summer months. Now the hardest part.. which color and style to choose! Overall- practical, warm and safe!